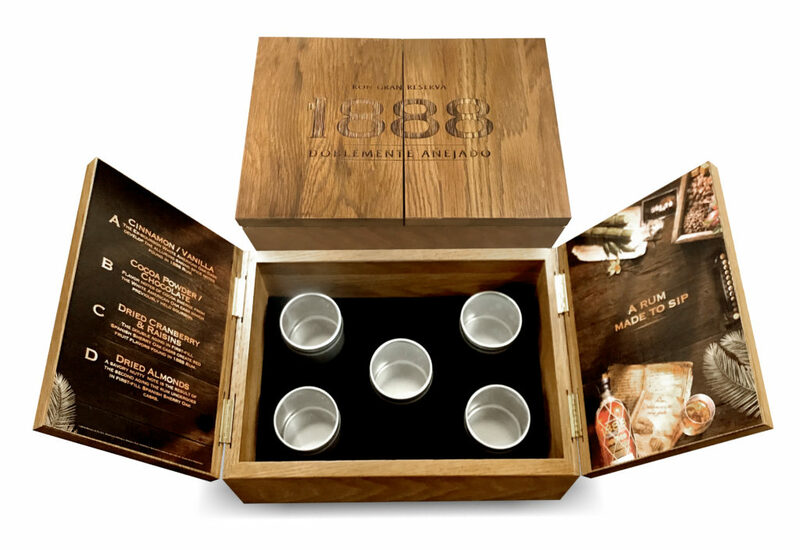 This custom box was created for a sales team calling on wholesale accounts. The item was made out of solid oak with a custom stain. We engraved the outside but added decals on the inside describing the contents of the box. The custom cut foam holds the samples of the product.